On June 12th in Lakeland, Florida the Florida Fish and Wildlife Conservation Commission (FWC) met at the Hilton Garden Inn to discuss (public hearing), among other issues (snook, tarpon and bonefish), the use of a snagging device employed in the Boca Grande Pass during the PTTS tournament – misnamed as the Boca Grande “jig rig.” A device designed and used worldwide to capture fish by snagging. The rule proposal to prohibit tarpon-fishing gear that has a weight attached to the bottom of the hook in the pass – like the 4- or 6-ounce jig-heads with tiger-stripe soft plastic shad imitations that anglers are currently attaching below size 8/0 hooks with zip ties – drew 10 times as many public comments as the snook issue as well as making tarpon and bonefish catch and release only, which passed unanimously. 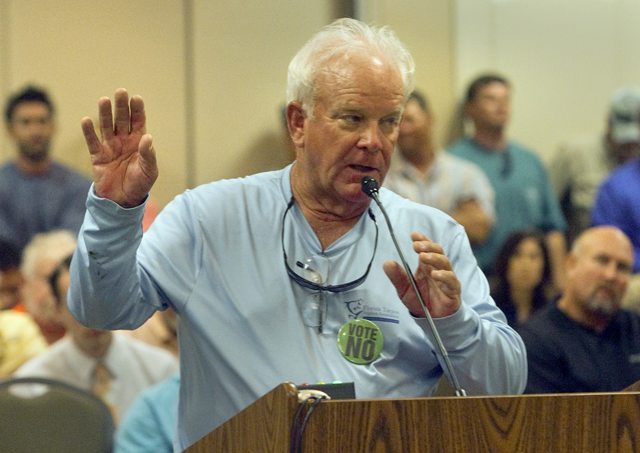 More than 100 people spoke before the commissioners, each limited to three minutes, in a vigorous, impassioned and sometimes heated debate arguing for or against the tarpon-gear proposal. The controversy regarding the use of the “Boca Grande Pass Jig” or “jig rig” in Boca Grande Pass has become contentious, vociferous and sensational in the communities and press of the region. It has social, cultural, conservation and political / legal impacts that are guided by the socio / economic relationships that exist there. There can be more scientific studies of the interaction of a loaded hook and a tarpon’s jaw that will give some degree of probability as to whether the fish was intentionally / unintentionally snagged. On the other hand the mechanics / physics of any rig that has a weight attached below the bend of the hook should be analyzed to determine the snagging ability. Mullet run snagging rig for snook. Let’s start with the leader, if the leader engages any protrusion or ledge it will slide along until the hook eye also engages. If there is any bulbous mass directly above the hook eye the hook would be deflected and most likely not snag. 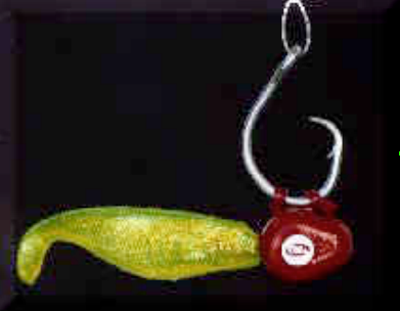 If there is a mass on the hook shank at the hook eye, as most conventional jigs are configured, the hook is also less likely to snag. However, if a mass / weight is attached directly below the bottom of the bend of the hook the rig becomes an efficient snagging tool. The shape (morphology) of the mouth and throat area of the tarpon has protrusions, declivities and soft spots that can provide a place to engage a properly rigged “J” hook or offset circle hook that is being pulled up through a close-packed aggregation of fish. Snagging is a very old method used around the world to capture fish. It could be eels in a mud bottom or schools of mullet on the surface. The usual device employs a multiple (treble) hook or gang hook with a weight or mass at the bottom. This mass forces the alignment of the point of the hook out past the hook eye and therefore snag more effectively. This can make any rig with this configuration a snagging tool if used properly. In the fall of the year the water temperatures drop along the Atlantic and Gulf coasts, this causes a southward migration of fish. Along the lower east coast of Florida the fall “mullet run” produces some spectacular fishing for snook, tarpon, redfish, sharks and other sportfish that follow the schools of bait. The most effective way to catch large snook is with a live mullet fished on the bottom where the snook are busting up from below through the schools of mullet. The “rig” used for this was a 7/0 Mustad O’Shaughnessy hook on a four foot wire leader to a swivel. 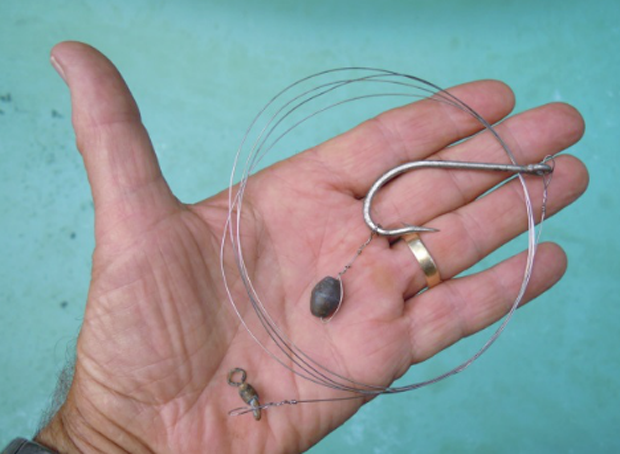 The hook must have a ¼-ounce or ½-ounce sinker wired to and hanging below the bend of the hook. This rig is cast out into a school of mullet and jerked through the school, if your hook is filed sharp you can snag a mullet 9 out of 10 times. Usually two or three are kept in your pockets; the mullet is hooked from the bottom of the mouth through the top of the head with the same rig, with the sinker riding below the throat. When the snook are busting, the mullet is thrown beyond the school, the bait sinks to the bottom and is worked slowly toward the school. When the snook takes, you try to lip hook them so they will be easier to release. My best morning was 12 snook over 20-pounds and two over 30-pounds. Several groups of fishermen from Miami fished Boca Grande Pass in the 1960s using the same lures and jigs that are successful in Ft. Lauderdale and Miami’s Government Cut (we had very poor results unless we used live bait). Artificial lures that are successful elsewhere don’t seem to work as well in the Boca Grande Pass area unless you fish the beaches and bayside flats. The point here is that the “jig rig” is a very effective snagging tool because of the weight being attached below the bend of the hook. In my opinion, the Boca Grande Pass and PTTS Tournament tarpon “jig rigs” are used with the primary intention of snagging tarpon, and that this type of rig should be regulated throughout the State of Florida.